Mititelu created the Jazz Shower as part of an Art Showers series, whose goal is to create "an intense experience for the eyes and for the mind of the user." In the shower. Where all of my best ideas come to me already! Imagine the turbo boost the intense experience of bathing under a trumpet is going to give me. I could be just a few Jazz Showers away from becoming the next Nikola Tesla or Ron Popeil! 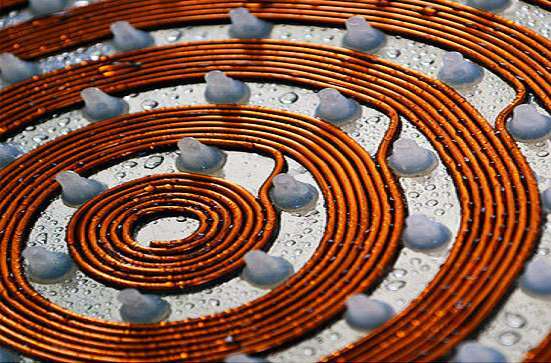 Mititelu molds his shower fixture into a trumpet by hand, winding hydrophobic copper wire 'round and 'round and up and down all visible components but the spray jets. 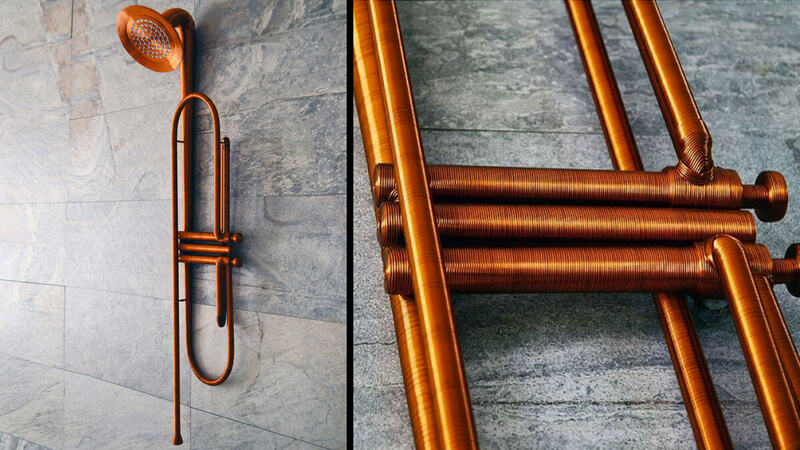 If you're looking for a unique and very limited edition gift for a musician or jazz fan, you can order the Jazz Shower as a trumpet o' copper, gold, or rose gold.